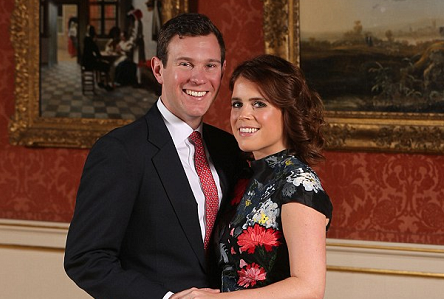 A date has been set for the wedding of Princess Eugenie and Jack Brooksbank later this year. The wedding will take place on October 12, in St George’s Chapel at Windsor Castle, according to the Duke of York’s official Twitter account. The father of the 27-year-old princess yesterday tweeted: ‘The marriage of Her Royal Highness Princess Eugenie to Mr Jack Brooksbank will take place on 12th October 2018. The date of the wedding falls on a Friday, breaking with royal tradition of holding marriage ceremonies on the weekend.